16167.34 Asa Elijah 7 BIGELOW, son of Nahum 6 ( Simeon 5 , John 4 , Joshua 3, Joshua 2, John 1), and Mary (GIBBS) BIGELOW, was born on 02 February 1832 in Coles county, IL and was in UT as early as 1850 with his parents and siblings. He married (1) Julia Ann Cook the daughter of Henry Lyman and Nancy P. (Brigham) Cook. Julia was born 06 May 1836 in Canada and was 17 years of age when married on 02 April 1853. Asa married (2) on 10 October 1872 Elvira (Mecham) Bigelow, the widow of his brother Moroni (16167.38). 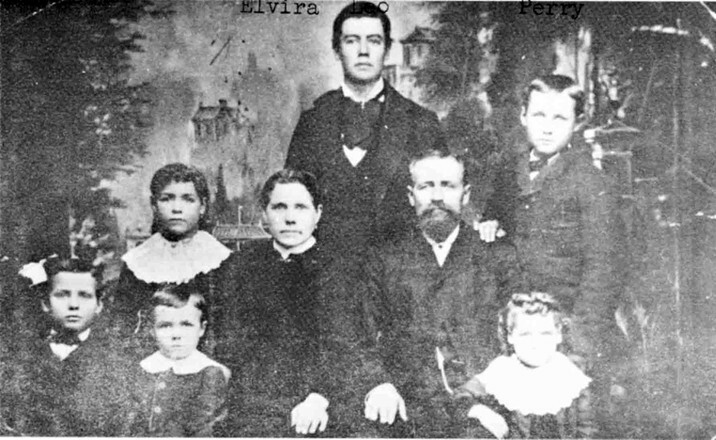 Elvira was the daughter of Moses and Elvira (Derby) Mecham and born at Montrose, Lee, IA on 0l September 1840. Asa married (3) Hannah Mosley Johnson on 08 March 1889. She was the daughter of Philo and Experience (Brown) Johnson, born at Salt Lake City on 01 October 1856. After the death of Asa, at Payson, Utah, UT on 09 November 1911 Hannah married David Fairbanks on 05 February 1873, later divorced. Hannah died at Salt Lake City on 22 April 1936. Julia Ann Bigelow died on 15 September 1911 in Wallsburg, Wasatch, UT about 6 weeks before Asa. Elvira Bigelow died at Salt Lake City on 04 January 1920. Asa was a farmer all of his life. 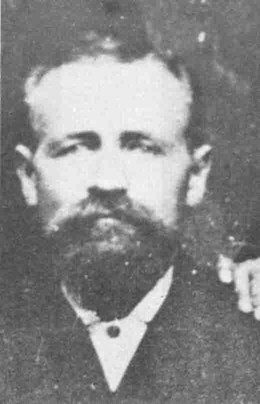 16167.341 Asa Liola, b 23 Dec 1853 Provo, UT; d 20 May 1868. 16167.342t Rosella Ann, b 21 Dec 1855 Provo; d 28 Oct 1928; m 08 May 1872 John Albert Mecham; 8 children. 16167.343 Louise Jane, b 29 July 1858 Goshen, UT; d 19 Aug 1858. 16167.344 Eudora Lovina, b 08 Sept 1860 Atchison, Atchison, KS; d 25 Dec 1942; m 14 April 1879 George D. Mecham. 16167.345 Mary Elizabeth, b 22 June 1863 Atchison, d 13 July 1863 Atchison. 16167.346 William Daniel, b 06 Feb 1865 Atchison; d ca 1920; unm. 16167.347t Franklin Dean, b 07 Nov 1869 Provo; d 26 April 1934; m 14 Dec 1891 Mary Alvira Batty; 7 children. 16167.348 Perry Scipio, b 12 Nov 1874; d 04 Jan 1921; unm. 16167.349t Moses Willard, b 0l Jan 1876 Gunlock, Washington, UT; d 2l May 1940; m (1) 25 May 1898 Ruby Jenette Gammon, 2 children (2) 26 June 1912 Amy Ilene Allred, 8 children. 16167.34Bt Asa Elijah, b 08 Aug 1879 Gunlock; d 11 April 1947; m 22 Nov 1905 Spring Glen. UT; Mary Jane Gentry; 6 children. 16167.34Ct Alice, b 28 April 1882 Gunlock; d 22 June 1968; m 22 Oct 1902 Samuel Herbert Adams; 7 children. 16167.34Dt Virginia, b 13 Dec 1901 Paysen, Utah, UT; d _; m 17 July 1920 Clayton Austin Martin; 4 children. Elijah and Elvira Jane Mecham. Valerie Sorensen "Eternal Companion" Valerie Leah Timothy Sorensen, our loving mother, wife, grandmother, sister and daughter, passed away unexpectedly following knee surgery on August 13, 2011. Loved by all that knew her, Valerie was a caring person who truly blessed the lives of everyone she met. She was a faithful member of The Church of Jesus Christ of Latter-day Saints and served in her ward in an array of callings ranging from Den Mother to Relief Society President. Valerie was born in Roosevelt, Utah, to Presley Val and Lucy Timothy on August 15, 1952. She was the oldest of seven children, and led a life of good example and service. She graduated from Kearns High School in 1970 where she met her husband, John Sorensen. The two started dating at SUSC, where they both attended college. They were married in the Salt Lake Temple on November 12, 1971. They loved each other very much. Valerie and John started their life together in Cedar City, Utah, where they purchased their first home and started building their family. They raised their children in West Jordan, Utah and later built their home in Riverton. Valerie was an extremely talented woman who loved to scrapbook, sew, paint and do anything artistic. Her creativity brought joy to the lives she touched and made her house truly feel like a home. Loved ones received hand-made gifts and cards throughout the year that showed how much she loved them. In December 2010, Valerie retired after working 25 years for the State of Utah. She was a hard-working woman who excelled at whatever she did. Even after retirement, she did not slow down. She was always helping neighbors, tending grandchildren or visiting family members. Valerie loved to travel with her sweetheart, John. She liked vacationing at Bear Lake with her kids and grandchildren. She cherished her grandchildren and loved spending time with them more than any other thing in her life. She often said the reason she became a mother was to have grandchildren. Valerie is survived by her loving husband, John Mickael Sorensen; her four children: Mickael Gail (Allison), Stacy Leah (Robert) Haight, Becca Jo (Stewart) Brough, and Daniel John (Emi); six grandchildren: Jacob, Brooklyn, Eli, Nathan, Chloe and Knox; parents: Presley Val and Lucy Powell Timothy; siblings: Teresa (Steve) Foisy, Trina Timothy, Presley Timothy, Derk (Tami) Timothy, Melanie (Don) Mullen, and James Timothy; in-laws: Jane (Jim) Keech, Gaylene Didericksen, Carolyn (Chad) Rappleye, Susan (Eldred) Jensen, Jay (Virginia) Sorensen; and dozens of nieces and nephews. Upon passing from this life, Valerie was welcomed into the arms of her parents-in-law: Gail and Olga Sorensen; in-laws: Craig Wall, Marial Sorensen and Larry Diderickson; grandparents; and countless other relatives who preceded her in death. A viewing will take place Friday, August 19, 2011, 6:00 - 8:00 p.m. at McDougal Funeral Home, 4330 S. Redwood Road, Taylorsville, Utah. Funeral services will take place Saturday, August 20, 2011, 10:00 a.m. at the LDS Stake Center, 4501 W. 11800 S. Riverton, Utah, with another viewing at the church, 9:00 - 9:50 a.m.
"We love you mom. Until we see you again, we'll remember that families are forever".